Virtual machines (VM) on these nodes can be migrated from one node to another in real time. 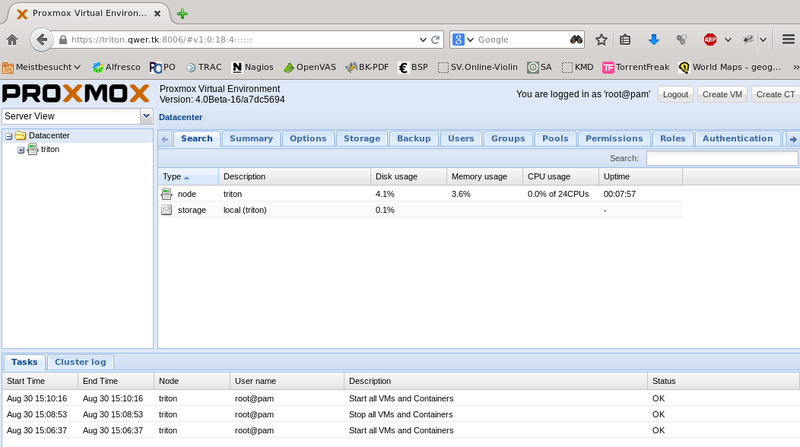 This way nodes can be freed of VMs in order to reboot them / maintain etc. without disrupting services which is a huge advantage. If one node dies (e.g. in case of a hardware failure), another node starts the VM, so the downtime is minimized. HA is complex: When a node goes down, others need to provide the lost service, e.g. start the lost virtual machine. However, how is this handled? How do the remaining nodes really know that the service (the VM) is down? Several strategies exist to this problem, such as “quorum”. If accidentally two nodes run the same VM, the result is disastreous – this must never happen. There are several strategies to prevent this, such as “fencing”. The backbone of handling the above is the network connection – if it goes down (e.g. a switch failure), the nodes seem to be dead from the perspective of each node and the result is turmoil. In order to never let this scenario happen, redundancy of network connections is vital, which however means that HA systems need at least 2, or 4, sometimes even 6 or more network adapters. A free community version and some subscription plans for support and a “stable” repository for mission-critical systems, which is o.k. to my mind. (However, what I find a bit unfortunate is the lack of information about the differences between the subscription-based “stable” repository and the free one and how this is planned in the future). 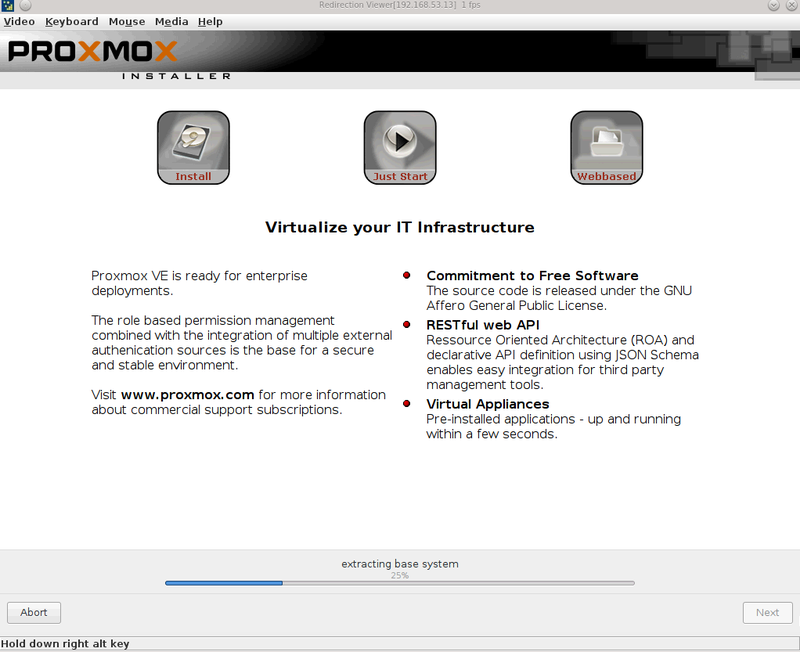 So, all in all, Proxmox seems like a very good and stable choice. 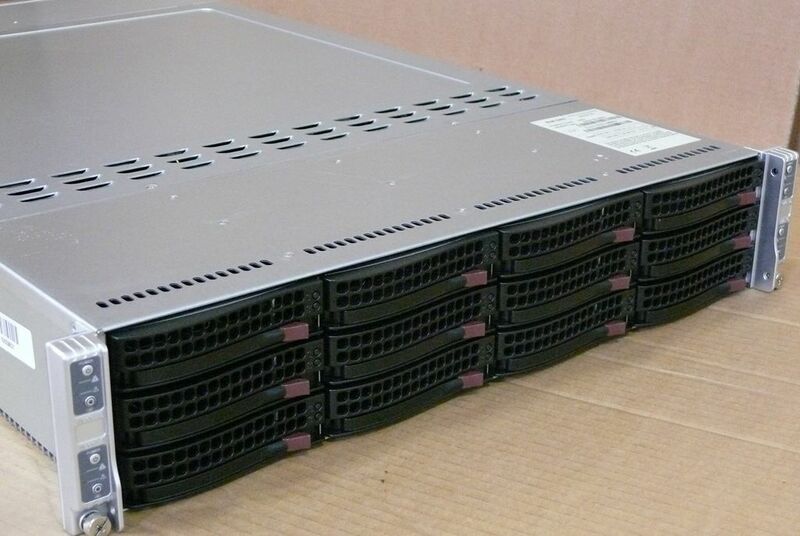 An infiniband interface – maybe this can be put to some use? In order to get used to proxmox, I order the following book: Mastering Proxmox. First of all the ISO image was downloaded and the installation disk was mounted via IPMI / virtual media in order to boot it. This worked, however, to some unknown reason the data transfer of the virtual media is VERY slow, so installation takes quite a long time. Data (for LXC and KVM containers / local storage): 56GB, mounted on /var/lib/vz -> So this is where your local storage is situated! The layout makes sense, although I personally find that the default root size is too big – after installation only 1.7 of the available 28GB were used. Creating the cluster could easily be done as described in the book. However, the output of the command line tool is very different but understandable. “pvmcm add” exited with the message “unable to copy ssh id”. I learned that this may happen if the “master node” has no quorum, however, “pvecm status” reported that it had. Nevertheless, the ssh configuration file, “authorized_hosts” was set to readonly, so no wonder the node could not be added. The solution was to reboot the master node, no clue why. Although waiting for an hour or so, it never advanced, so I stopped this with CTRL+C. Trying to re-add the node was impossible, it told me “authentication key already exists”. The dysfunctional node showed up in the web front end, so I tried to remove it from the cluster with “pvecm delnode”, which was probably not a good idea as deleting a node has to be done following certain steps as described here. Well, it seems that the failed adding of the node just did that and thus the cluster was unclean. Despite the installation disaster, I still like the concept of Proxmox, it seems to integrate existing technology quite nicely and the web frontend is very nice and handy. There is lack of information / documentation: The information in the wiki is quite sparse and lacks description of the concept, the “overall picture”, how everything integrates. However, knowledge seems to be vital as can be seen in my described experiences above. Without understanding pmxfs, cronosync etc., one will get stuck very quickly. Deleting a node should be simpler: I don’t like the idea that an unclean removal of a node may destroy my whole cluster database, at least there should be a documented and viable path to repair it, to bring it back to a consistent state. Resetting a node to a clean state should be simpler, too. It should not happen that a bug in the add routine of a node leads to the necessity to install the whole cluster from start. (However, I’ll dig into this, maybe the corosync documentation has some clues how to do this). The book “Mastering Proxmox” is nice, but lacks the upcoming technology – it concentrates on Proxmox 3 but the upcoming release (Proxmox 4) is not taken into account: The output of tools (e.g. pvmcm) differs a lot, the configuration files seem to have changed (e.g. no “cluster.conf” any more), so the book is already outdated to some degree, which is a pity. An appendix such as “Outlook to Proxmox 4” would have been a good addition. 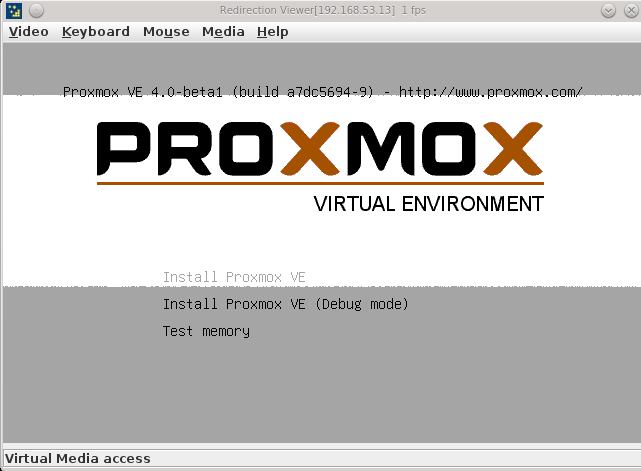 Nevertheless it is a nice introduction to Proxmox, I like the networking section and the introduction to ceph (although I could not yet test it). It is unfortunate that the ceph integration is not functional (for now) in Proxmox beta 4 – however, this will probably change. 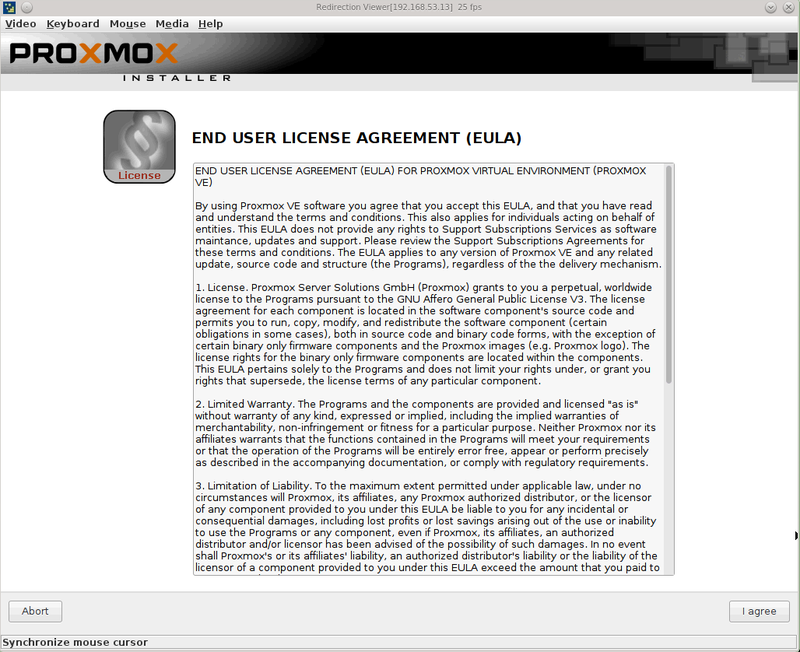 Proxmox beta 4 seems a step forward to me but still has some bugs that have to be sorted out. So, all in all I still think Proxmox is the way to go, however, one should really dig into documentation before trying to install a cluster – and the book “Mastering Proxmox” is certainly not sufficient.